Styled with berna pant and huet t-shirt . See this in Wool-Cashmere Blend, Alpaca Wool or Virgin Wool. 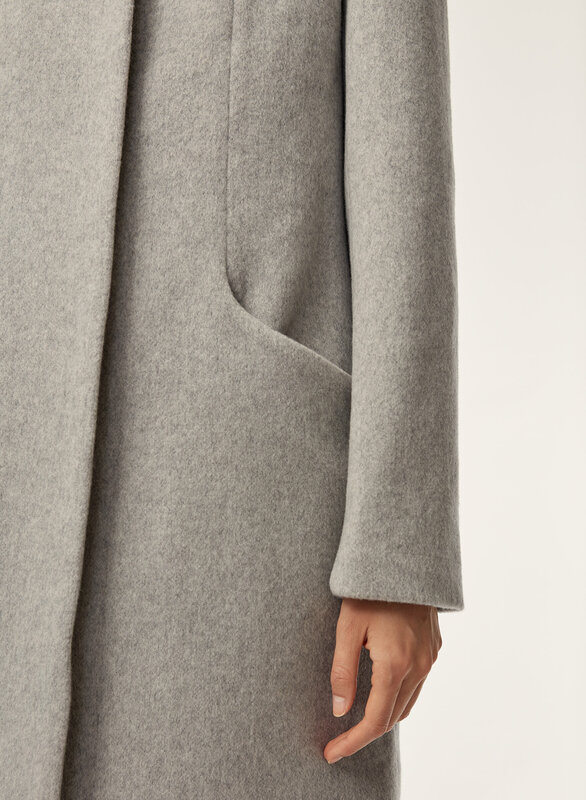 Crafted from a balanced blend of cashmere and wool from Prato, Italy, this rendition of the Cocoon coat has a luxuriously smooth quality and a soft structure. It's exceptionally warm and will wear beautifully over time. Beautiful coat, thin and warm, cigar colour is rich. Does fit larger than the regular cocoon coat though. I bought a large but could have bought a medium. I’ll get it tailored to fit perfect! Super warm, fits amazing, slightly large, but perfect for the winter sweaters! 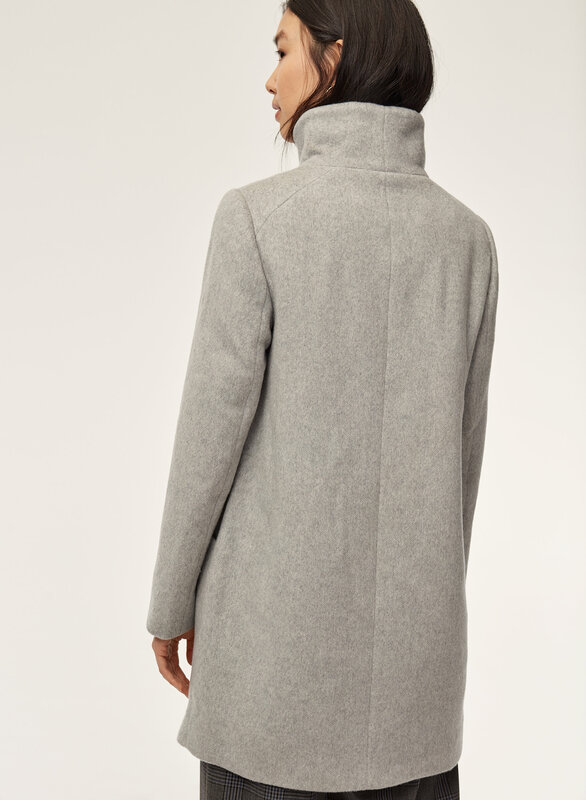 This coat is really soft and exceptionally warm, I look forward to putting it on when I go out. It does fit larger so keep that in mind when ordering, however it does look great oversized. Overall pretty happy with this coat. This coat feels like a cozy sweater. Looks great with dressy work outfits or jeans. 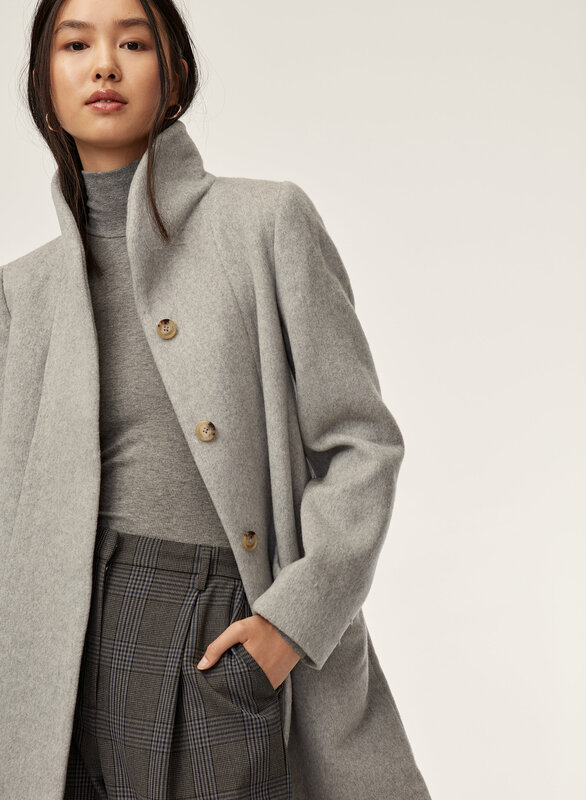 The light grey is so versatile to wear with literally everything. 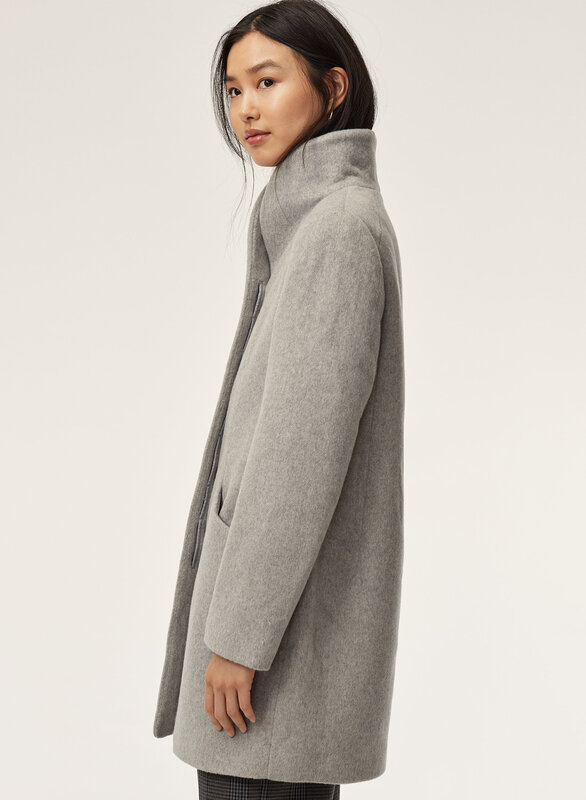 Super light and cozy because of the pure wool and cashmere combination (it may be a little more expensive than the original blend cocoon coat but dang is it worth it!). Probably one of my favorite jackets ever purchased and I'm excited to wear it through the Toronto/NYC winter. 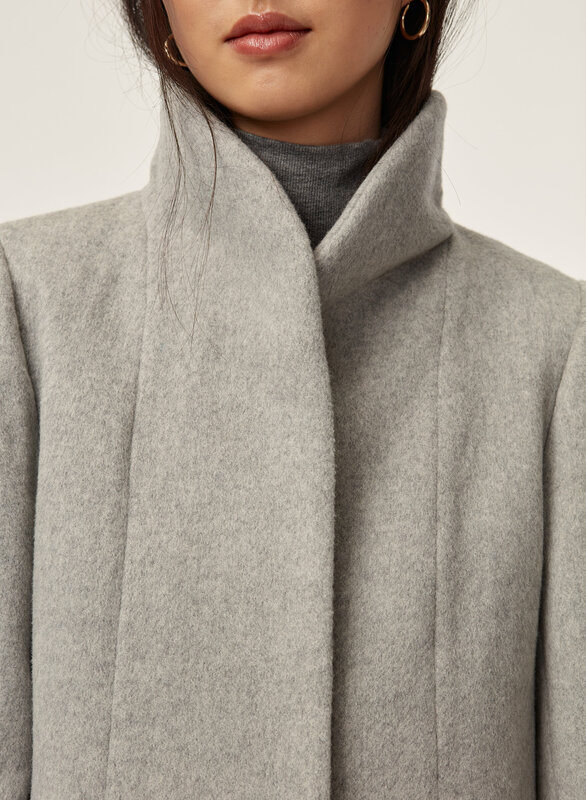 This coat is so cozy and soft, and warm because of the higher percentage of cashmere. 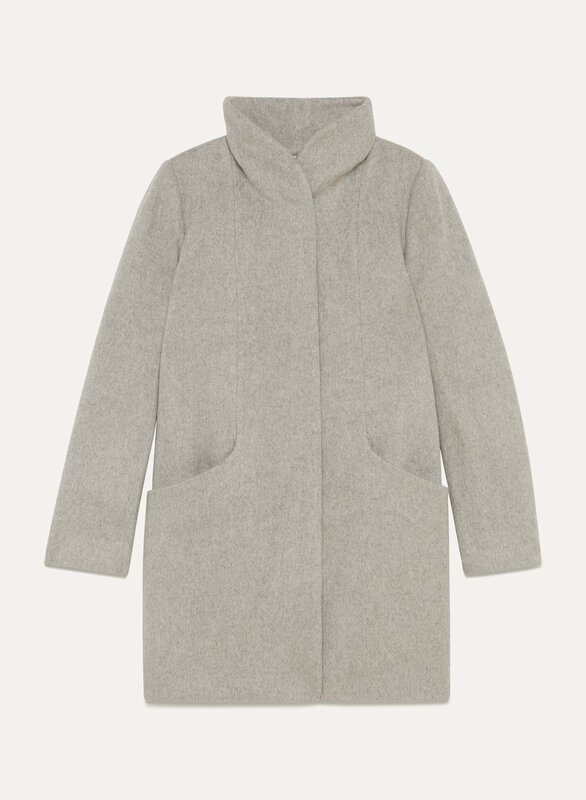 Fits slightly bigger than other Wilfred cocoon coats. Definitely recommend.